Sean Szymkowski November 19, 2018 Comment Now! 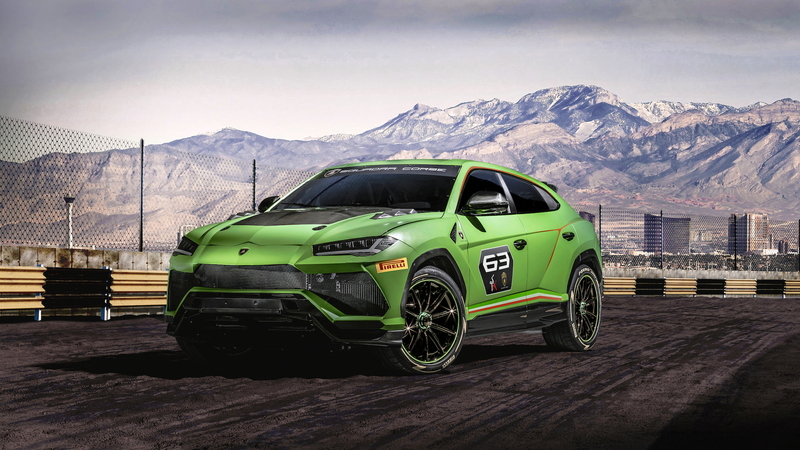 Lamborghini will take its Urus SUV racing, and on Saturday it debuted a preview of the mean green racing machine in the form of the Urus ST-X race concept. 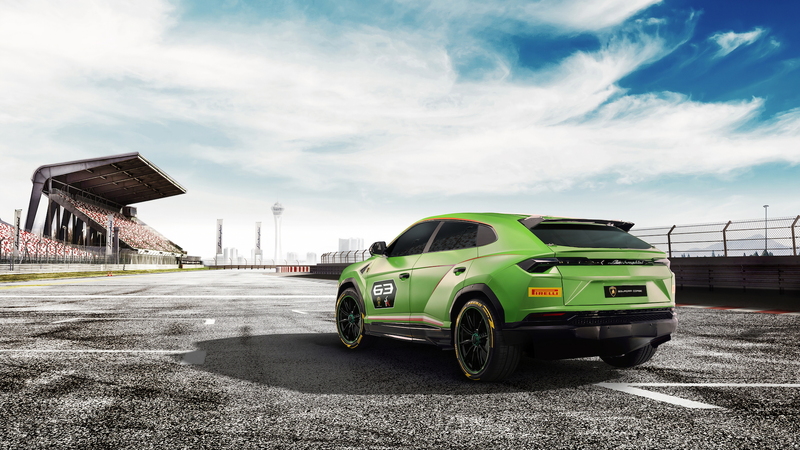 Lamborghini showed the Urus ST-X concept at its Super Trofeo 2018 World Finals in Vallelunga, Italy. The concept previews the race-ready SUVs that will compete in a new one-make series in 2020, according to Lamborghini's announcement. Interestingly, the races will consist of on-track and off-road portions at FIA-sanctioned courses in Europe and the Middle East. Naturally, the Urus will be able to tackle either terrain. The concept features plenty of upgrades and enhancements over the production Urus. 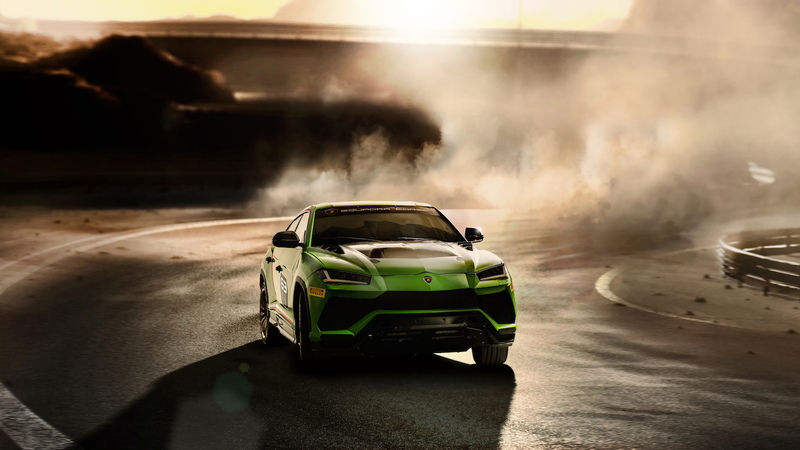 Born from the minds of Lamborghini's Squadra Corse motorsport unit (the same mad men and women behind the latest Aventador SC18), the Urus ST-X features FIA-approved upgrades such as a steel roll cage, a fire-suppression system, and an FT3 fuel tank. Larger intakes up front cool the 641-horsepower twin-turbo V-8 engine better, and the hood is made of exposed carbon fiber. Other modifications include a rear wing, a racing exhaust with a hexagonal design, and 21-inch aluminum center-lock wheels wrapped in Pirelli tires. Without the need for the luxuries of the street (likely seats, infotainment, air conditioning, and other interior bits), the Urus ST-X has shed 25 percent of the production SUV's weight. The lower weight and extra rigidity provided by the roll cage should make this SUV quite a formidable vehicle for the track. 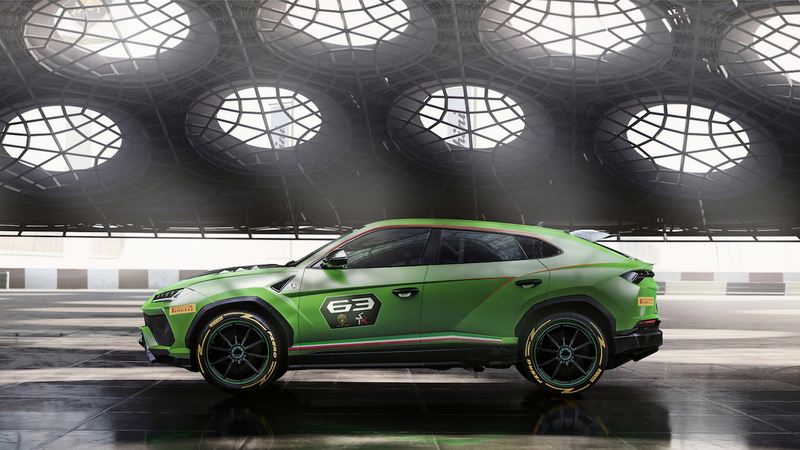 Squadra Corse has finished the Urus ST-X concept in mantis green complete with a race livery. The company shared few details about the one-make series, but said it will debut a new "arrive and drive" format. The series will allegedly make it easier than ever for customers to receive a vehicle and technical support on race weekends. Details on the series will be announced later, presumably, but it will launch in 2020. 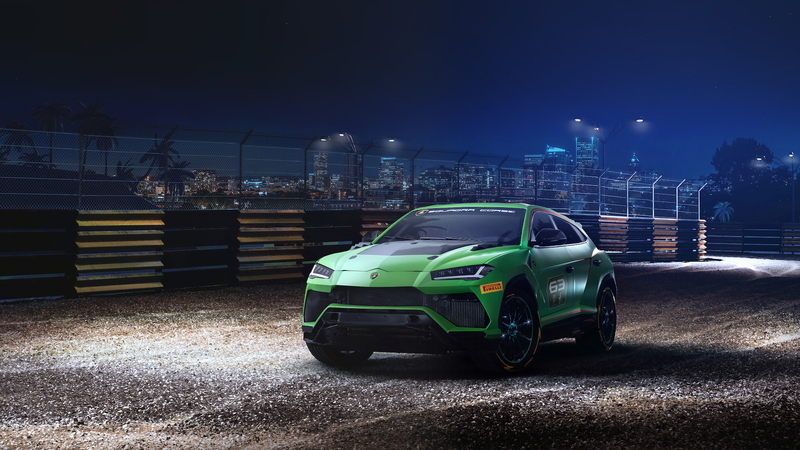 The Urus ST-X will make its on-track debut in a year at the 2019 Lamborghini World Finals.